December asks you, the sign of impulsiveness, passion, determination and courage, not to give up now. It’s the duty of these planets to give you confidence even at times when the resignation might seem as the easiest solution. Although at this time something is slowing down, believe that “tomorrow” will be better and, plans, goals, dreams, desires, are in a phase of transition between the invisible and the visible. There is a moment in which the seed is about to sprout, but if we do not trust it and continue to protect and nurture, it will not sprout. Mars in Aquarius will give you a hand. It has come the time to move away from everything bringing you pain, heaviness, that installs fear, limiting your growth and creative power. You, the sign of the “values” must more than ever believe in yourself. You need to overcome the fear of failure. Mars in Aquarius shows you the way to go, suggests you what you can work on, freeing you from unresolved emotional loads. It’s a good time to plan, organize and implement anything. Start the festive season and this will be for you a time of recovery. Never as in this month, will you realize the creative power you have, the power to design and build your life. You will find that everything emanated, will come back doubled. You know the echo in the mountains: If we yell something, the echo does not rewind the sound back to us only once, but several times. For those who already live a relationship, the month of December could mean an important step towards stability. For those who are single, a meeting could change your life. The main limitations of the sign of Cancer are emotional ones. Cancer is a sign that “feels” and so it perceives every emotional change that happens in the air. Sometimes you find yourselves in particular states of mind without understanding the cause, because like a sponge, you absorb the emotions that surround you. The month of December will be useful for stabilizing this “feel”, instilling courage and more determination. The work is the sector that could suffer most from this your newfound desire to become “adults.” It ‘time to get out of the role of children. The perfect love story? The one with yourself. If you do not learn to love yourself, who else will? Finding your inner unit allows you to also find out the completion, in real life. You’ll start by taking more time for you, dedicating free time to carry out those activities that you like so much. New loves in sight. Some might even start a job that corresponds to their own vocation. Paternity, maternity coming. Creativity is very stimulated in this month, even the biological one. For those wanting a child, this is the right month. With kindness and the right way, you can achieve anything. December asks you to be more understanding and tender, especially with yourself. Stop judging yourself, as you expect the impossible from you. The judgment, which often turns into a strong self-criticism, is one of the major problems to be solved, especially for you. You are not perfect, like everyone, and everyone has their own blocks, his wounds and negative experiences; but you have abilities that others do not possess, such as knowing how to discern what can make you feel good and what does not. Who knows better than you what you need most? Some “reorganization” in the family and home, is on the way. You are about to stabilize. The manifestation of the Force is not, as many believe, to be violent or to impose their will on the weaker: this, in actually is violence. The greatest strength lies in the ability of decision. It’s you that through the decisions you make every day, create the conditions of your life. Therefore, December is asking you to make decisions, cutting everything that is no longer part of your life, pruning the deadwood. Everyone will do it in his field, but the base is a restore order in relationships of all kinds. You were laying the foundations for the victory of your war. Being autonomous and independent, does not mean going to live on your own or have an income that allows you to buy yourself what you need: if anything, this has the effect of leaving behind the emotional dependence, especially that caused by negative emotional experiences, and become aware of their abilities. Give a new value to their lives, accepting imperfections, welcoming also suffered trials, however, finally letting go of the pain that you carry within. December helps you to free yourself from all those situations that prevent you from moving forward. The energy increases, awareness of yourself improves, you have more desire to do things. 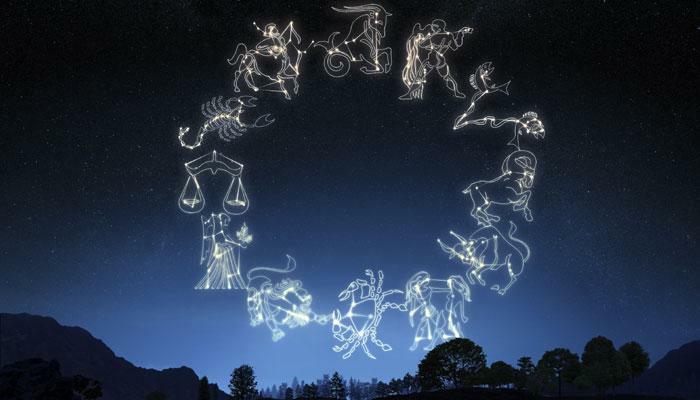 To you Sagittarius, will be a special month because it will see the conjunction between the sun and Saturn in the days between 10 and 15. You will feel the need for stability, to dedicate the time, to detach and isolate yourself a little more of your daily responsibilities. This will allow you to have a better idea of some of your important issues, to make decisions and to receive answers, which will give a more stable life. In those days, moreover, with mercury beginning its retrograde phase in Capricorn, some issues will come back to be permanently dealt with as they can no longer be postponed. It’s time to eliminate these unconscious beliefs and to move towards a liberation from all forms of duty. Push the button! “Who cares”. Easy that this month you may receive important news, information about you personally and that will change your life direction. Often the blocks, stagnation is the result of a hard time deciding. The latter is, in turn, due to a lack of clarity. Once the fog in some areas of your life has been cleared, you will know also take decisions closer to your condition. In one way or another, you will finally be free from a situation that for some time has not clearly, that for some ‘time torments you. decisive period for many situations. The month of December will require from you the presence, determination and desire move. The planets are arranged in quadrature, but it is an aspect that I consider more constructive than destructive. New partnerships, new projects may initially frighten or take off guard. However, nothing happens by chance, and everything comes when you are ready. You are ready! To accommodate a new vision, a new method, a new life. You cannot procrastinate! Your fine skills need to be used by taking a definite direction. You are the sign of chaos, but now a certain order is being required.